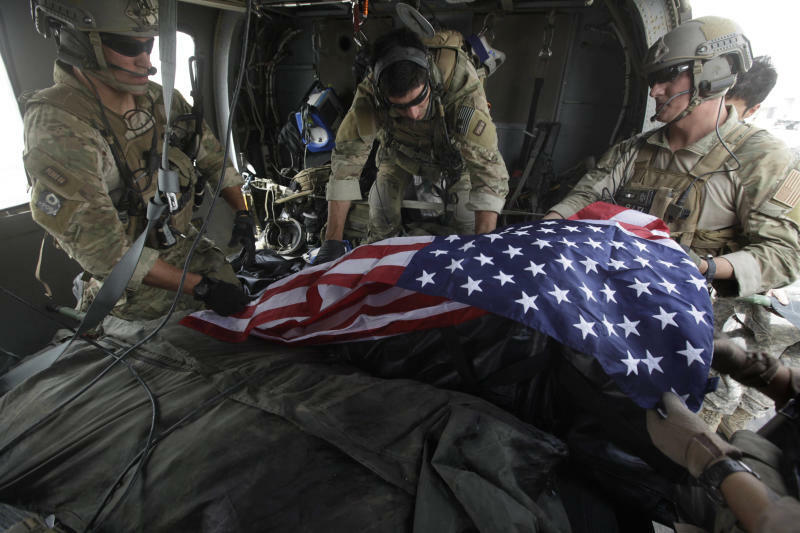 KABUL, Afghanistan (AP) — The killing of an American serviceman in an exchange of fire with allied Afghan soldiers pushed U.S. military deaths in the war to 2,000, a cold reminder of the perils that remain after an 11-year conflict that now garners little public interest at home. The toll has climbed steadily in recent months with a spate of attacks by Afghan army and police — supposed allies — against American and NATO troops. That has raised troubling questions about whether countries in the U.S.-led coalition in Afghanistan will achieve their aim of helping the government in Kabul and its forces stand on their own after most foreign troops depart in little more than two years. "The tally is modest by the standards of war historically, but every fatality is a tragedy and 11 years is too long," said Michael O'Hanlon, a fellow at the Brookings Institution in Washington. "All that is internalized, however, in an American public that has been watching this campaign for a long time. More newsworthy right now are the insider attacks and the sense of hopelessness they convey to many. " Attacks by Afghan soldiers or police — or insurgents disguised in their uniforms — have killed 52 American and other NATO troops so far this year. "We have to get on top of this. It is a very serious threat to the campaign," the U.S. military's top officer, Army Gen. Martin Dempsey, said about the insider threat. The top commander of U.S. and NATO forces in Afghanistan, Gen. John Allen, was blunter. "I'm mad as hell about them, to be honest with you," Allen told CBS' "60 Minutes" in an interview to be broadcast on Sunday. "It reverberates everywhere across the United States. You know, we're willing to sacrifice a lot for this campaign, but we're not willing to be murdered for it." The insider attacks are considered one of the most serious threats to the U.S. exit strategy from the country. In its latest incarnation, that strategy has focused on training Afghan forces to take over security nationwide — allowing most foreign troops to go home by the end of 2014. As part of that drawdown, the first 33,000 U.S. troops withdrew by the end of September, leaving 68,000 still in Afghanistan. A decision on how many U.S. troops will remain next year will be taken after the American presidential elections. NATO currently has 108,000 troops in Afghanistan — including U.S. forces — down from nearly 150,000 at its peak last year. The program to train and equip 350,000 Afghan policemen and soldiers has cost the American taxpayer more than $22 billion in the past three years. The most recent attack came just days after Defense Secretary Leon Panetta said most U.S. and coalition combat units in Afghanistan returned to their practice of partnering with Afghan forces, nearly two weeks after the top U.S. commander put restrictions on such cooperation. Like so many other deaths in Afghanistan, the latest were shrouded in confusion and conflicting accounts. On Sunday, U.S. officials confirmed the deaths of two Americans, a service member and a civilian contractor killed late Saturday. The fighting started when insurgents attacked a checkpoint set up by U.S. forces in eastern Wardak province, said Shahidullah Shahid, a provincial government spokesman. He said the insurgents apparently used mortars in the attack. The Americans thought they were under attack from their allies at a nearby Afghan army checkpoint and fired on it. The Afghan soldiers returned fire, Shahid said. The Afghan Defense Ministry spokesman said the shooting broke out as a result of a "misunderstanding" while ISAF forces were on patrol near an Afghan army checkpoint. NATO's International Security Assistance Force, commonly referred to as ISAF, gave a different account of the fighting in Sayd Abad district. "After a short conversation took place between (Afghan army) and ISAF personnel, firing occurred which resulted in the fatal wounding of an ISAF soldier and the death of his civilian colleague," the coalition said in a statement. It said the three Afghan soldiers died "in an ensuing exchange of fire." NATO did not say whether it considered this an "insider" attack on foreign forces by Afghan allies. In Washington, Pentagon press secretary George Little said 2,000 deaths is one of the "arbitrary milestones defined by others " that the U.S. administration does not mark. "We honor all courageous Americans who have paid the ultimate sacrifice in Afghanistan to make the American people more secure," he said. "The fact of the matter is that America is safer because of all of those who have served in this war, including our fallen heroes." In addition to the 2,000 Americans killed since the Afghan war began on Oct. 7, 2001, at least 1,190 more coalition troops from other countries have also died, according to iCasualties.org, an independent organization that tracks the deaths. According to the Afghanistan index kept by Brookings, about 40 percent of the American deaths were caused by improvised explosive devices. The majority of those were after 2009, when President Barack Obama ordered a surge that sent in 33,000 additional troops to combat heightened Taliban activity. The surge brought the total number of American troops to 101,000, the peak for the entire war. According to Brookings, hostile fire was the second most common cause of death, accounting for nearly 31 percent of Americans killed. Tracking deaths of Afghan civilians is much more difficult. According to the U.N., 13,431 civilians were killed in the Afghan conflict between 2007, when the U.N. began keeping statistics, and the end of August. Going back to the U.S.-led invasion in 2001, most estimates put the number of Afghan civilian deaths in the war at more than 20,000. In recent years, some of those casualties have generated a great deal of criticism from President Hamid Karzai and changed the way NATO forces carry out airstrikes. The overwhelming majority of civilian casualties are caused by insurgents — with the United Nations blaming them for more than 80 percent of the deaths and NATO putting that figure at more than 90 percent. 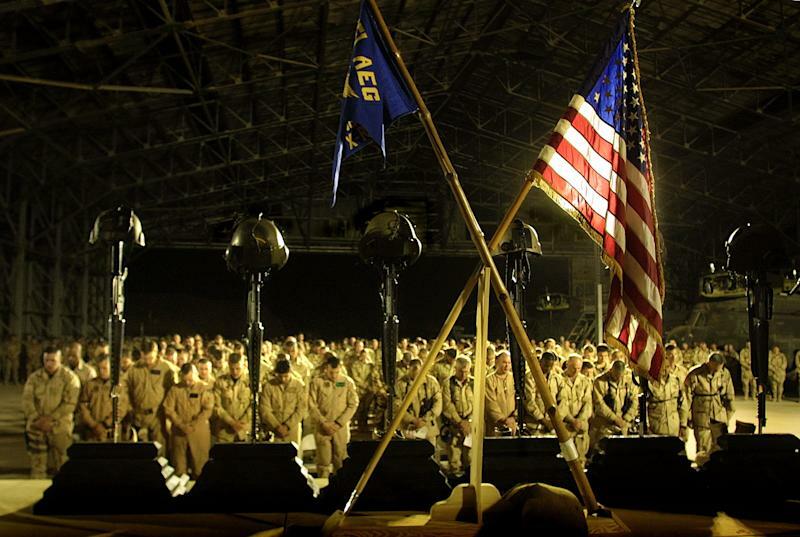 The number of American dead reflects an Associated Press count of those members of the armed services killed inside Afghanistan since the U.S.-led invasion began. Some other news organizations use a count that also includes those killed outside Afghanistan as part of Operation Enduring Freedom, the global anti-terror campaign led by then-President George W. Bush. The 2001 invasion targeted al-Qaida and its Taliban allies shortly after the Sept. 11 attacks on the United States, which claimed nearly 3,000 lives. Victory in Afghanistan seemed to come quickly. Kabul fell within weeks, and the hardline Taliban regime was toppled with few U.S. casualties. But the Bush administration's shift toward war with Iraq left the Western powers without enough resources on the ground, so by 2006 the Taliban had regrouped into a serious military threat. Obama deployed more troops to Afghanistan, and casualties increased sharply in the last several years. But the American public grew weary of having its military in a perpetual state of conflict, especially after the withdrawal of American troops from Iraq at the end of last year. That war, which began with a U.S.-led invasion in 2003 to oust Saddam Hussein, cost the lives of nearly 4,500 U.S. troops, more than twice as many as have died in Afghanistan so far. 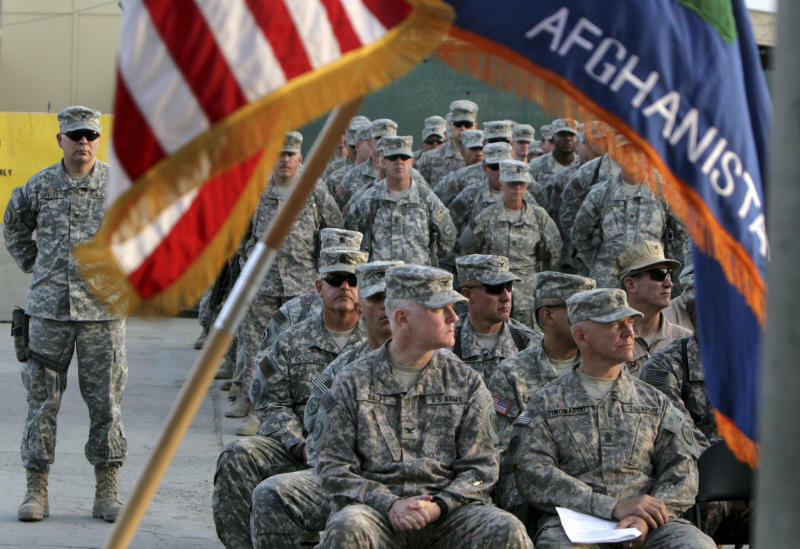 Although Obama has pledged that most U.S. combat troops will leave by the end of 2014, American, NATO and allied troops are still dying in Afghanistan at a rate of one a day. Even with 33,000 American troops back home, the U.S.-led coalition will still have 108,000 troops — including 68,000 from the U.S. — fighting in Afghanistan at the end of this year. Many of those will be training the Afghan National Security Forces that are to replace them. "There is a challenge for the administration," O'Hanlon said, "to remind people in the face of such bad news why this campaign requires more perseverance." Associated Press writers Heidi Vogt and Rahim Faiez in Kabul and researcher Monika Mathour in Washington contributed to this report.